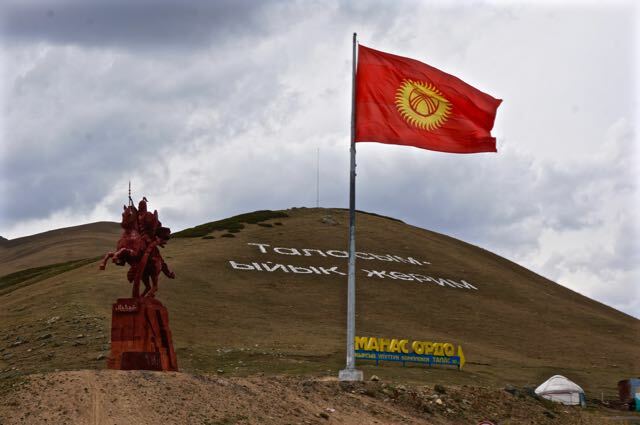 The timing was perfect for coming into Bishkek with Kyrgyzstan’s Independence Day being celebrated on August 31st. 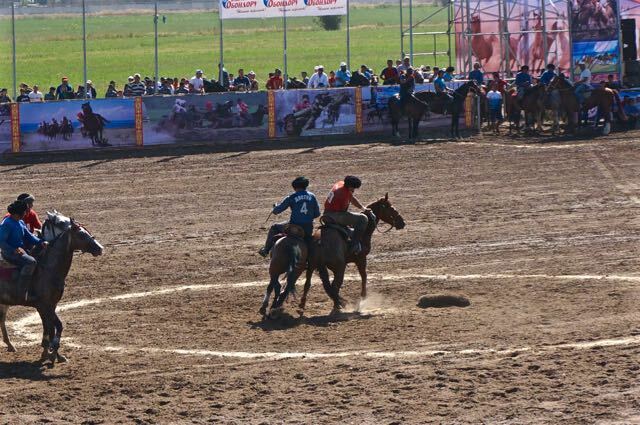 A famous tradition on this day is the national game of Ulak Tartysh (Kok Boru). It’s similar to polo, except a bit more gruesome. 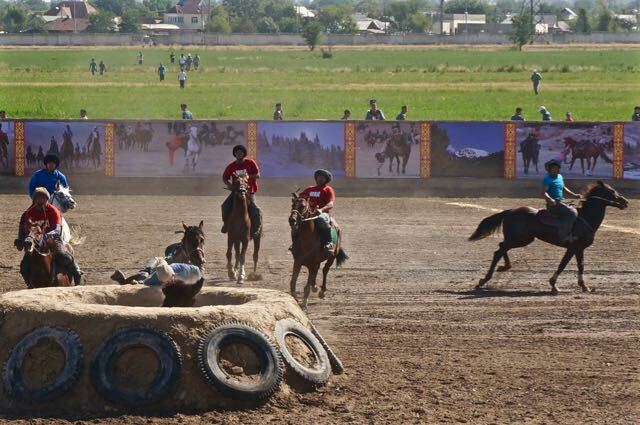 Instead of using a ball, riders compete for a headless carcass. It’s said that the original game developed in the past when shepherds on the steppes and mountains were dealing with the threat of wolves. The cattle and livestock were constantly exposed to the threat of Gray Wolves in the open environment. Djigits, horse-riders, would chase them until they tripped up, then beat them with whips and sticks, trying to rip the body from each others grasp. Originally called Kok Boru, this led to the game of Ulak Tartysh taking hold, which replaces the wolf carcass with a goat or sheep and adds “goals”. 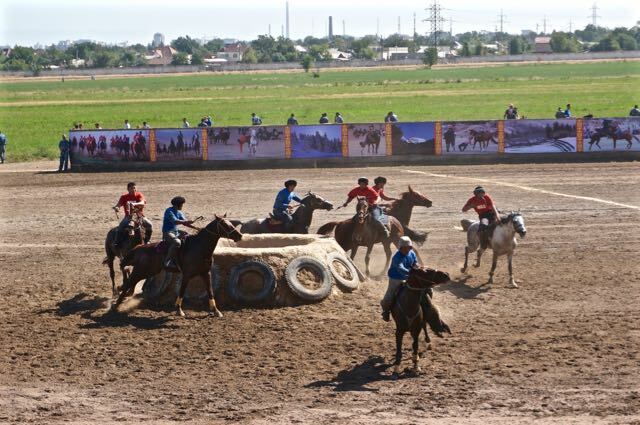 Two teams of riders play on a field of about 300 meters long and 150 meters wide. The objective of the game is to gain control of the carcass and deliver it into your opponents “goal”, which is a raised ring made of dirt. 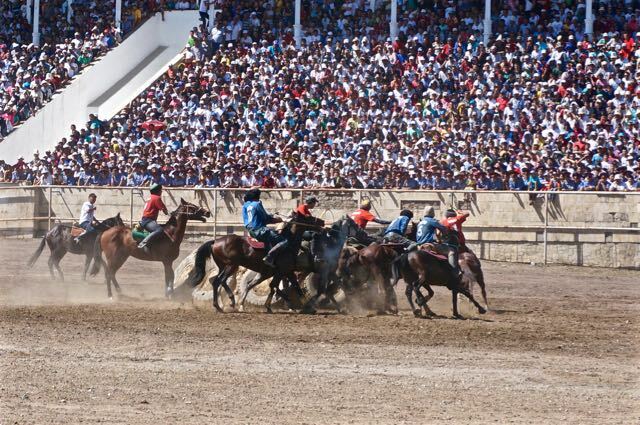 The riders are allowed to capture the carcass from anywhere on the field, rip it from their rivals grasp, carry it against the horse’s side or hanging between the horse’s legs, and pass it to their partners. The competition is fierce as whips snap in all directions and horses slam into each other with brutal force. It’s common to try tripping the other horses before they can score. We watched a group of guys play at Song Kul, but now it was time for the real deal. A group of us from the hostel loaded into a taxi and headed out in the morning. Thousands of people, ninety-nine percent men, pack into the Hippodrome (stadium). Hours before the main event people are already squeezed in like sardines pushing and shoving for every inch. It looked like half of Bishkek’s police force were in attendance, and it was a constant struggle to keep people from climbing over walls. Around the dirt field locals pushed up as close as they could get before the slightly more intimidating blue cammo dressed police blocked their way. 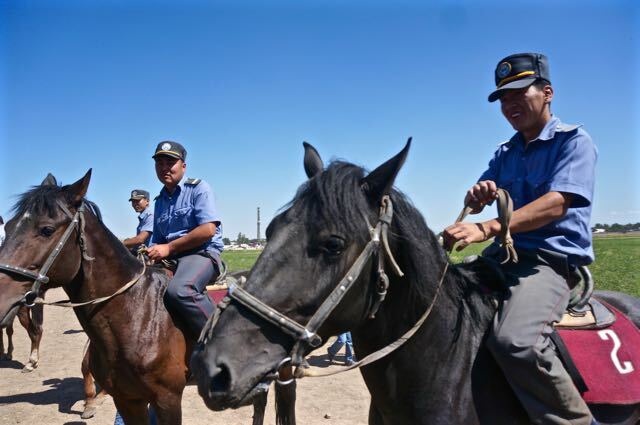 The events started with dog races, and now I understood why all the dogs in Kyrgyzstan chase my motorcycle. At the sight of a moving object they’re sent into a frenzy of speed. When I pass most dogs on the road, I can see a sudden change in their eyes like when the hulk transforms, and they sprint after me possessed. After this, targets were set up and guys shot arrows at them while riding by as fast as they can on horseback. 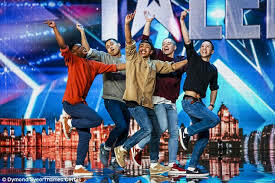 Those guys were pretty awesome, but nothing compared to what was to come. The main event is the Ulak Tartysh. The two teams, on horseback, group up by the stage while across from them in front of the bleachers a sheep is be-headed. Once headless, the teams race towards it and the game begins. At each end of the field is a raised circle build out of packed dirt. The objective is easy. Each team tries to throw the body into their “goal”. 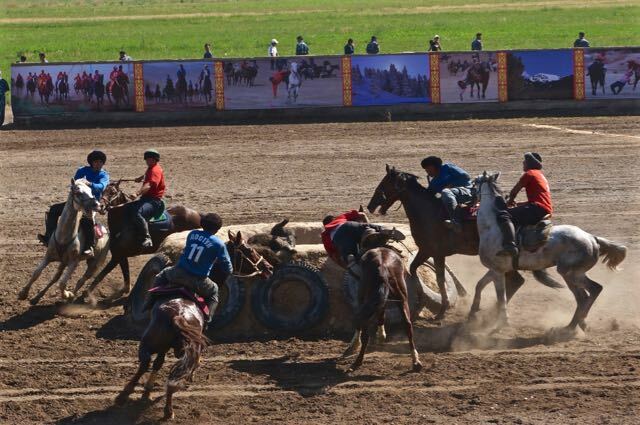 It’s a brutal sport for the riders, but also for the horses. They slam into each other and whip not only their horse, but the others. A few times I saw horses somersault to the ground and throw their riders violently. It looked really difficult to be able to lift the body up high enough to get it in for a score, but the toughest part appeared to just be getting possession of it. 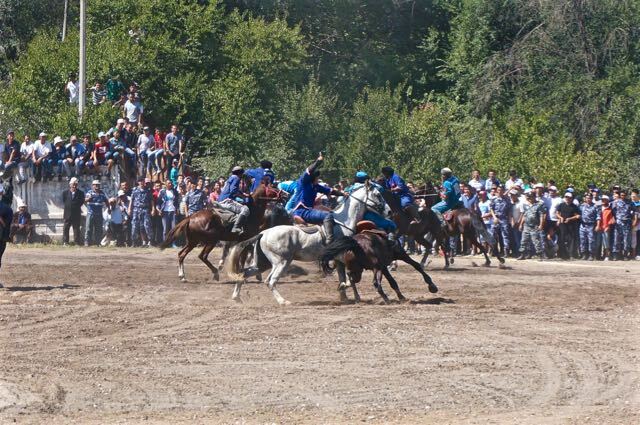 They use the horses as shields and a tool to control the other riders. Once someone is able to reach down and pick up the heavy body they hook their leg around it and race towards their “goal”. It’s not clear sailing though and other riders try their best to rip it away. There don’t appear to be any rules as they slam into each other. Hanging out over on the side where the horses and riders take breaks, you could see evidence of the beating they’d endured. Riders had clothing, bruises, cuts, and large scrapes. The horses had open bloody wounds on their face and bodies. Some of the guys would get close, but didn’t seem to have the strength to lift the sheep high enough, which drew disappointment from the crowd. There was one rider on the blue team who dominated. He looked like a small guy, but always burst out of the crowd with the body and would hurl it into the circle with ease. Sometimes he would virtually jump off his horse and hurl himself face first into the pit along with the hunk of furry flesh. Towards the end of the game, the crowd started getting bold. It seemed like everyone was waiting for the perfect moments and then pouncing. All of a sudden, hundreds of young guys would storm forward and hop the wall for a perfect seat. It was quite the experience, but the day had only just begun. A huge outdoor concert was being set up in the city center for a big show. All of us from the China crew plus a group from the Czech Republic went to a cafe in the park that served big mugs of draft beer. We proceeded to spend the next few hours there getting a good start to the night. Bishkek has some quick tasty shwarma spots, and after some of those it seemed like the obvious next plan of action was a big bottle of vodka. Some nights you just have a feeling it’s going to be a big one, and Kyrgyzstan Independence Day is a good time to have one. Sometimes it felt like vodka was their national drink, and the possibilities of trouble are endless when a half liter bottle costs just over a buck. The Czech Republic consumes the most beer per capita in the world, so we had some good influence behind us. 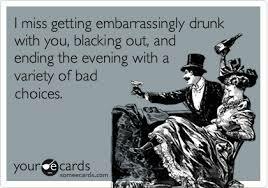 It was a blast of a night, from what I remember. Most of the things I’ve been told are a bit too much to throw out there in a public blog, but things definitely got out of control. My last memory of the night was all of us dancing close to center stage to a Russian boy band, an incredible blue light show, and feeling like it was one of the greatest moments of my life. The next thing that I comprehended was waking up in my hostel dorm bed, completely soaking wet, and my legs scratched up. Bishkek was a great stop for a few days to get some city life into the veins and have some fun. If you’re ever looking for a chill spot to stay in the city try Tanduk Hostel. Good people, good vibe, good pool. Tajikistan and the Pamir Highway was calling so Harley and I made the two-day trip down to Osh in southern Kyrgyzstan. Once you get out of the city and suburbs, it’s a beautiful ride. You climb two high passes over the first three hundred km. The area was gorgeous, but cold. The climate changes quick when you get to the higher altitudes. After leaving Bishkek in a t-shirt, I was shivering below four layers going over the passes. We set up camp on a huge reservoir with aqua blue water. The entire shoreline was covered in marijuana growing wildly. A pretty sunset lit up the surrounding orange and silver rock. As darkness approached, the lake began taking on the characteristics of an ocean and the sky morphed into a menacing swirl of grays. The night stayed pretty much dry, from what I remember, but we weren’t that lucky the next day. A peek out the tent brought a view of nastiness out over the lake and everywhere around us. It was hard to understand how we were dry. While contemplating this, the massive wall of rain slammed into us. Yelling over to each other from our tents, we easily agreed to try and wait it out. We spent a couple of hours hoping it would pass and getting excited when it would ease up for a moment, but the peace never came. Eventually we had to deal with it and get on the road. Once again, I was dreaming of those rain-pants I didn’t pack. It was a long three hundred plus km day. Over half the way was in pouring down rain with the body clenched and eyes struggling to see through a foggy mask. The route must be gorgeous in good weather. After climbing up away from the reservoir, you follow a deep gorge filled with a pretty blue river. A few times I wanted to stop and take it all in, but my wet freezing body and mind told me to keep moving and get it over. We made it to Osh as the clouds broke, temperature climbed, and good weather returned. Not every day is wonderful, but that’s ok because the terrible days make you appreciate the amazing ones even more. Before heading south to Tajikistan via the Pamir Highway, we both needed to do some work on our bikes. Luckily there’s a Swiss guy who has a motorcycle touring and rental company called Muztoo with a nice shop in town. Harley had some parts delivered in from the U.S. and the guys had no problem with us using their shop space to bang around on our bikes. They sold me a barely used rear tire for thirty dollars. While there I put on new front and rear sprockets, and chain. It was nice to finally use some spare parts that I’d been carrying forever. It was another good few days in a city. We got the bikes prepared, ate good food, and drank lots of beer with good people. It’s not just the vodka that’s cheap. A big bottle of beer costs less than a buck, or if you want to go for the two liter monster your wallet will be under two dollars lighter. The only thing that could make cheap beer any better is cheap delivery pizza. Three massive pizzas covered in everything delivered at midnight cost our group a whole fifteen dollars. Life was good in Osh, the weather was warm, and I camped in the hostels cute courtyard, but a new adventure await. Tajikistan, the Pamir Mountains, Wakhan corridor along the Afghan border, being at four thousand feet for days, and into an area with a lot of history and recent issues. This entry was posted in adventure travel, festivals, Kawasaki KLR650, Kyrgyzstan travel, locals, Motorcycle world travel, Photography, travel friends and tagged blood, crazy, djigits, drunk, horse games, independence day, kok baru, kyrgyzstan, photography, riders, tough, travel, ulak tartysh, vodka. Bookmark the permalink.